Good ol’ hubs was pandering to my carnivorous instincts when he organized a birthday celebration this weekend at Carni & Caipirinha, a new Churrascaria place in Clementi. It was a triple birthday celebration for my equally carnivorous son, my FIL (who has meat and chewing aversion in case any of his dental implants fall out) and yours truly. Unfortunately, the very day of the dinner, I had caught kid #2’s cold and was dripping like a tap. To mitigate that, I had taken both sedating and non-sedating antihistamines and my taste buds had gone dead. So although the Churrascaria was brilliant, all that food was pretty much lost on me. Today, after sleeping the weekend away and feeling much much better, I decided to remake feijoada the way I remembered it when I was in Brazil last year. 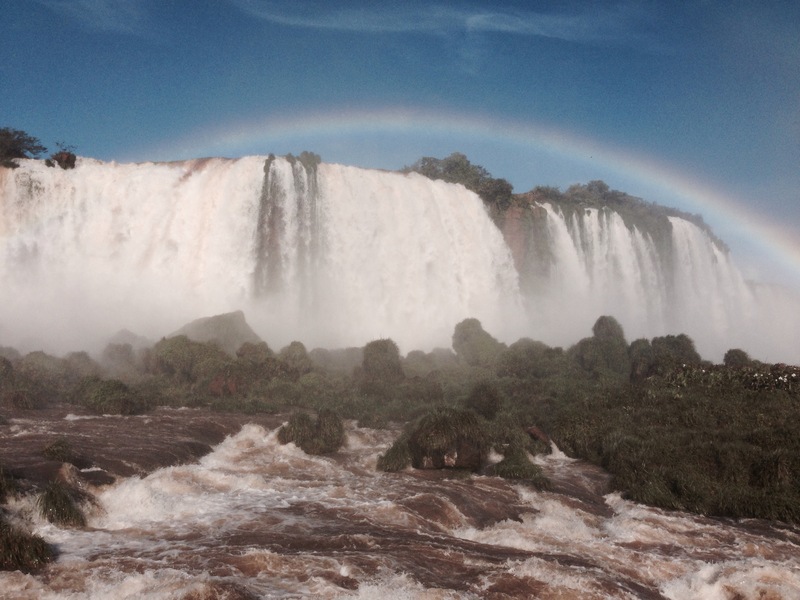 The International Child Neurology Congress was held in Iguazu Falls, which was probably the one reason why people travelled clear across the globe to attend this meeting. 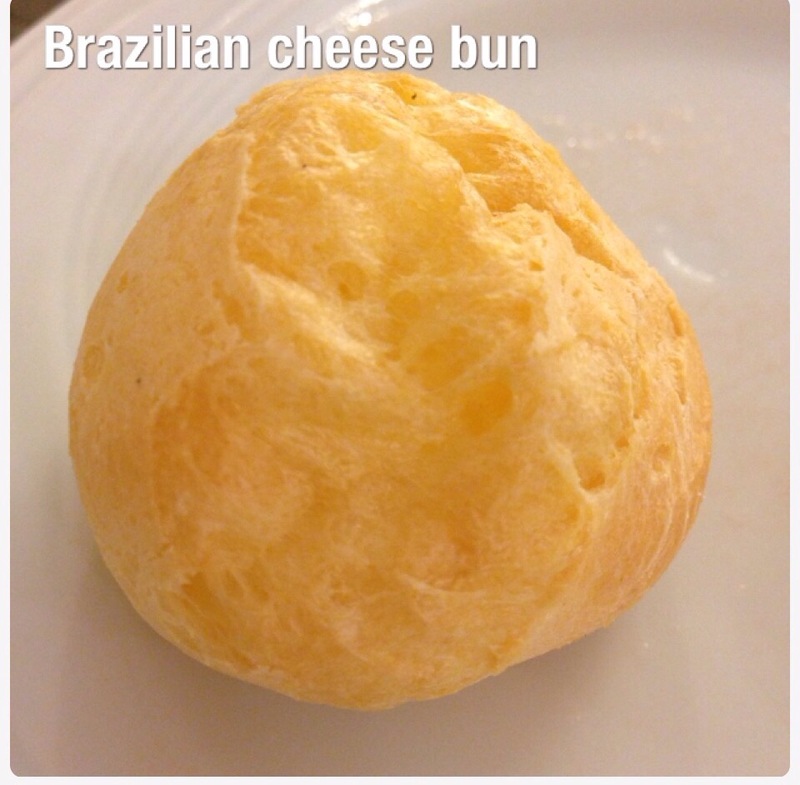 I think we ate the best meat ever in Brazil – I discovered picanha, chimichurri and feijoada…oh and cheese buns that I unashamedly cheated on my low carb diet for. Feijoada is really a poor man’s stew. 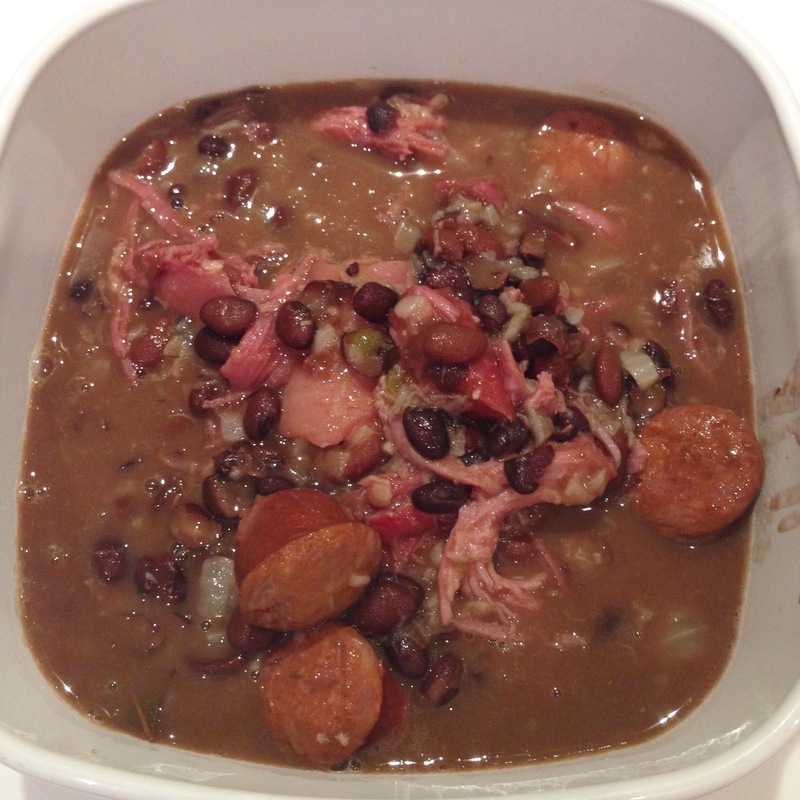 Made from scraps of bones, unwanted trimmings (trotters, tail and ears) and meat, cheap black beans and onions, feijoada is hearty and flavorful and works excellently over a bed of rice. This is actually a Portuguese dish, but is entrenched in Brazil and other Portuguese colonies. The version I have here is meatier than what we were served last night at Carne & Caipirinha and is good enough for a stand-alone dish. I was amused to find pigs tails on offer in Cold Storage so I used this instead of pigs trotters. I think the stew could definitely go in a slow cooker but as I was in a rush for dinner, this recipe was kept to less than 2 hours (which was why I used canned beans) to make sure it got to the dinner table on time. By the time the stew had simmered for an hour or so, the meat and beans had softened enough to make the stew rich and melt in the mouth yummy. Delicioso! Sauté the onions and garlic for about 5 minutes till fragrant and slightly caramelized. Add sausages and lightly fry for another 1-2 minutes. 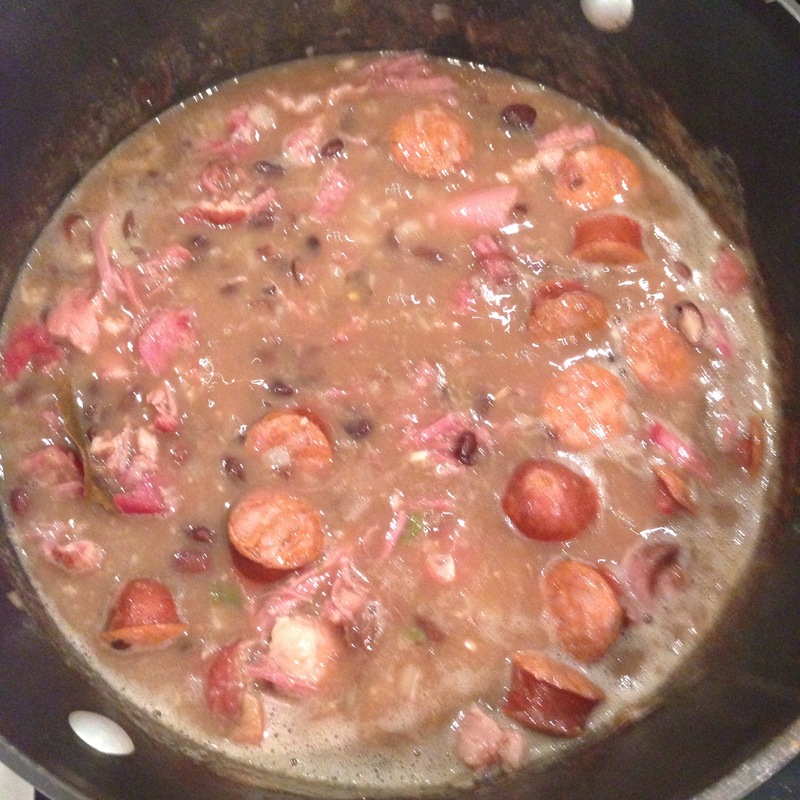 Add the pork trotters, smoked pork, jalapeños, smoked paprika (if using), black beans in canning liquid and water. Simmer for about an hour, stirring on and off. Remove the smoked pork and shred the pork or cut into small pieces. Return to the pot. With a potato masher, mash some of the beans to thicken the stew. Remove bay leaves. Serve hot on its own or with rice.